A series of horrific murders has brought terror to the Kingdom of Muman. The victims, all young girls, were slaughtered with unspeakable violence on the nights of three consecutive full moons. Suspicion falls on three dark strangers from the distant land of Aksum (Ethiopia), who are guests at the Abbey of Finbarr. A panic-stricken mob attacks the abbey, leaving the religious in fear for their lives. 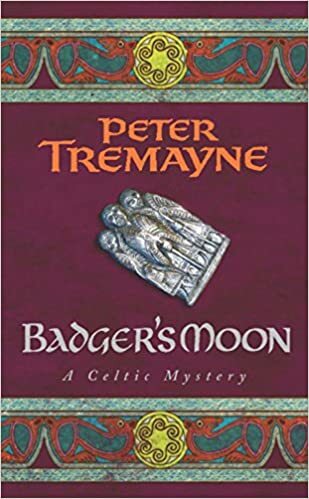 Sister Fidelma and Brother Eadulf are called in to restore order and find the killer, but it soon becomes clear that the three mysterious strangers are hiding a dark secret. And what about the ageing Laig, a hermit-like apothecary, who is known to have instructed all three victims about the magic and power of the moon; what sinister truths are hidden in his dark woodland dwelling? As Fidelma struggles to repair her faltering relationship with Eadulf, can she uncover the truth before the killer strikes again on the next night of the full moon?